Below are moving letters sent from asbestos victims to St Mary’s Hospital Foundation requesting that Roshi Chadha be asked to resign from the hospital’s Board of Directors. 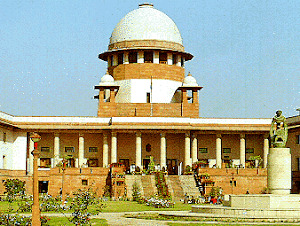 Roshi Chadha has exported asbestos from the Jeffrey asbestos mine in Quebec to India and other countries for the past 16 years. She is involved in a plan to open a new Jeffrey underground asbestos mine and export millions of tons of asbestos to Asia for years to come. If you believe a leading asbestos trader should not be a member of the Board of Directors of a hospital, send a brief message requesting that she be asked to resign. Send your message to Rachel Renaud, Cynda Heward, Dr Arvind Joshi and the Board of Directors at the following email addresses: cynda.heward@ssss.gouv.qc.ca ; arvind.joshi@ssss.gouv.qc.ca ; fondation.stmary@ssss.gouv.qc.ca . Over the last five years, each one of us has watched one of our immediate family die from a completely preventable form of cancer caused by asbestos exposure. Mesothelioma is an excruciating painful form of cancer that causes the victims to suffocate to death. We watched parents and spouses waste away, helpless to quench their unending thirst, and unable to fill their lungs with the air they desperately needed. It has been proven that chrysotile can’t be used safely in Quebec, according to government standards, so it would be impossible for it to be used safely in the developing world. Thousands of people are going to become victims of asbestos in these countries because of Seja Trade, Ms. Chadha’s export company. According to the President’s message the board members “lead by example”. The Foundation’s mission is to “strive to provide Healthcare on a Human Scale”. We believe having an executive of Seja Trade on your board is like having someone from the tobacco industry on your board. We ask that you remove this asbestos exporter from your board as surely there can be someone to fill her spot that does not contribute to the painful deaths of 107,000 people a year. We look forward to hearing from you as soon as possible. Thank you. I am respectfully requesting that Roshi Chadha be removed as a member of the Board of St. Mary's Hospital Foundation. Her role as an asbestos exporter is in direct conflict with what a medical institution stands for. Please know that asbestos-related diseases are the #1 occupational killer across Canada, there is no known safe exposure limit, and there are no known cures for the diseases that it creates. The WHO has asked for a complete asbestos ban due to the serious and significant negative health impacts of asbestos worldwide. I watched my Dad die from mesothelioma, a very painful, terminal cancer cause by asbestos, just as he and my Mum were settling into a well-deserved retirement. No one should have to go through what we went through, yet every year thousands more follow in our footsteps as loved ones fall ill and die due to asbestos exposure. My Dad was an electrician - he never worked in a mine or a factory; he never knew that he had been exposed. 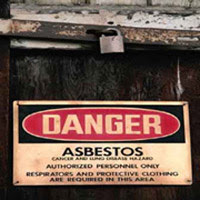 Back in1953 asbestos was listed as a carcinogen in one of the world's oldest, best known, and most respected medical journals. My Dad was just a boy in 1953, if we had heeded the warnings then, my Dad would still be alive today. This deadly mineral is odourless, tasteless and invisible. 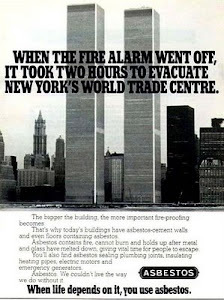 The only way to end these senseless deaths from this known carcinogen is to ban asbestos. 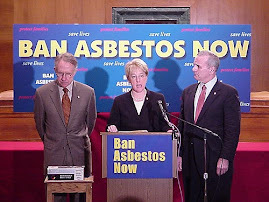 No one who supports the asbestos industry in any way should be a board member of any health organization. Your website uses the word "compassionate" over and over again to emphasize this characteristic of St. Mary's Hospital. Your board needs to lead by example; the example that Roshi Chadha is setting is not one to be followed, and is not one of compassion. 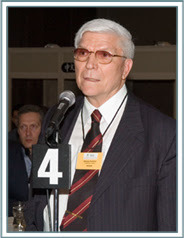 Please, I implore you, request that Roshi Chadha resign as a member of the St. Mary's Hospital Foundation Board.